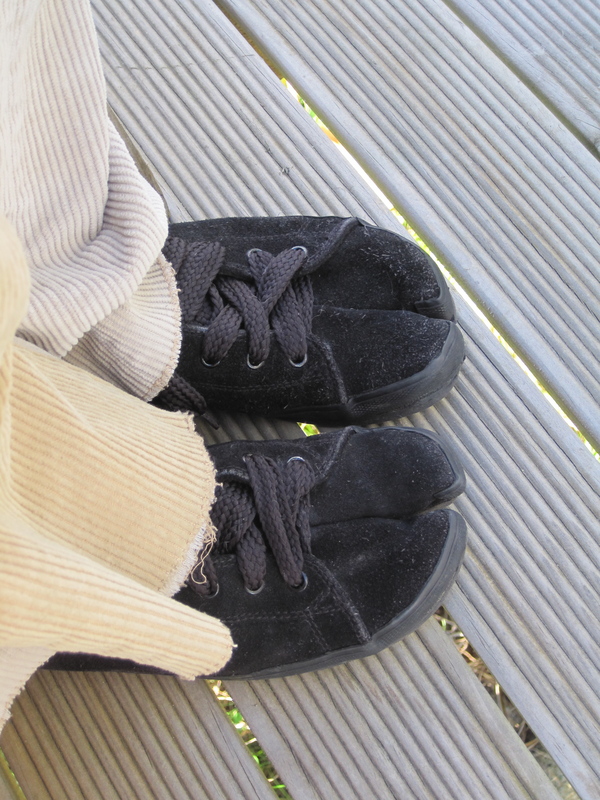 Category Archives: What’s In Your Wardrobe? We were absolutely stoked that Dr Simone Drichel agreed to let us have a peek inside her enviable and fashion-forward wardrobe. As a senior lecturer in the Department of English at the University of Otago, she’s a very busy lady. Simone was born and brought up in Germany. 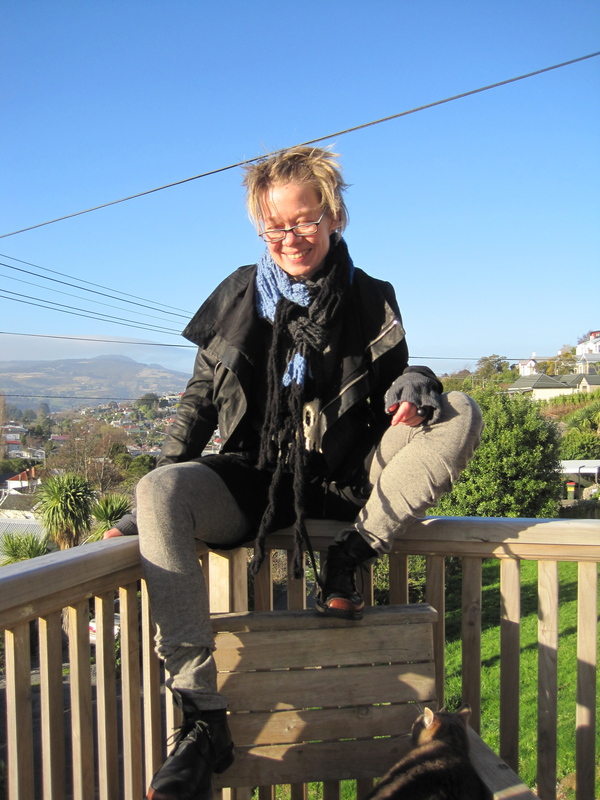 She first came to New Zealand as an au pair after finishing high school and fell in love with the country. 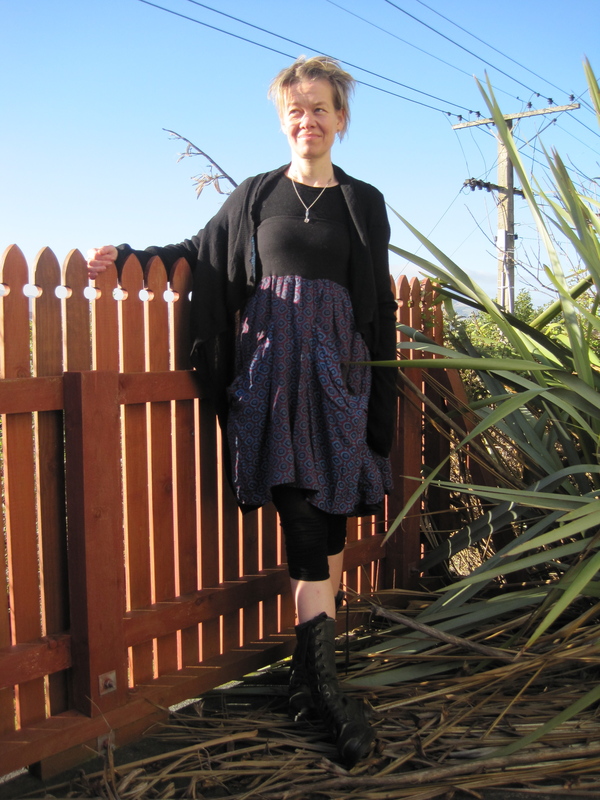 She later returned to complete a PhD in Wellington, a city where you can “walk everywhere”. 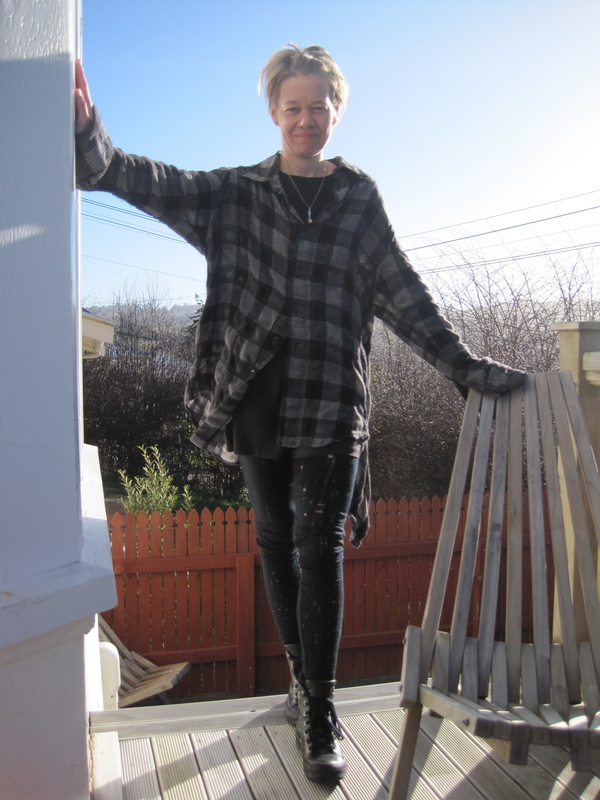 When she was offered a job in Dunedin, Simone accepted with no hesitation and she has now lived here for 10 years. She finds Dunedin has a great sense of community and it’s easy to get around. One of her favourite places is St Clair beach. Of course, the fashion is also a big attraction. Simone’s favourite shop is Plume which not only stocks NOM*d but also her other favourite labels Maison Martin Margiela, Comme des Garçons and Rick Owens. In fact, her love of these labels is shared by NOM*d designer Margarita Robertson. 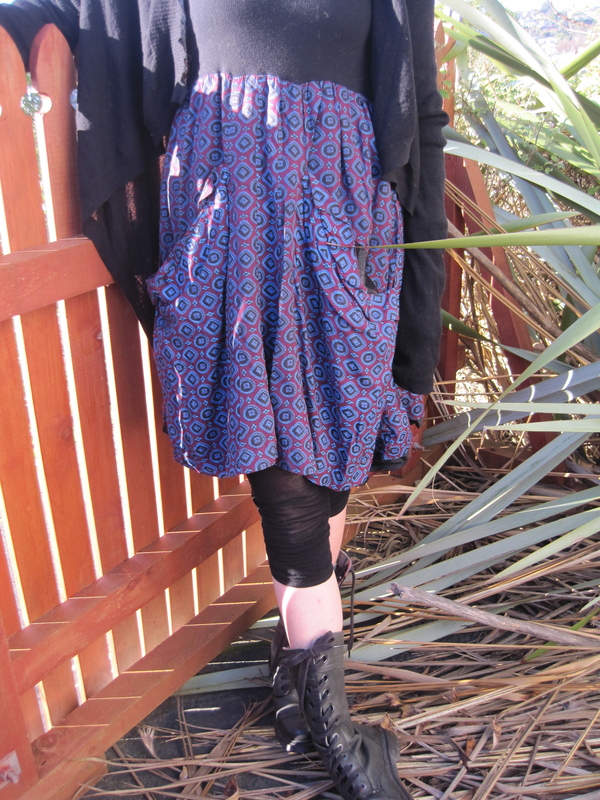 Simone became aware of NOM*d while in Wellington when she spotted a student wearing a covetable bell-sleeved jersey and it just grew from there! Her collection of NOM*d pieces is second to none. 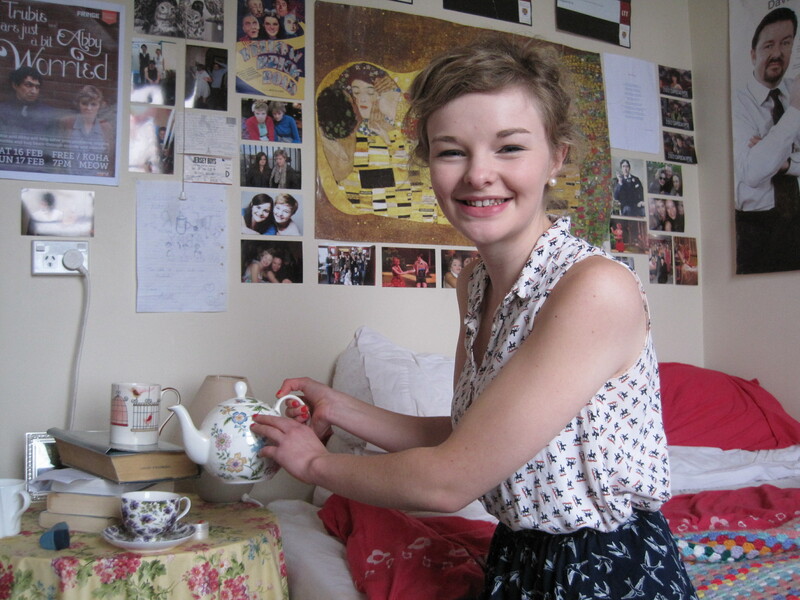 Her favourite collection is ‘Bedlam’, with ‘Turncoats’ coming a close second. 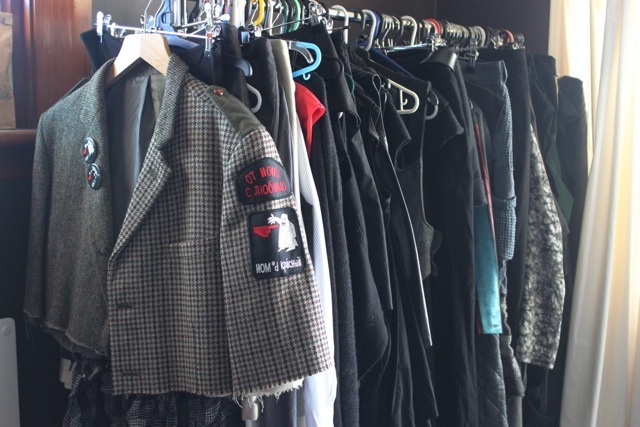 Part of Simone’s extensive wardrobe. 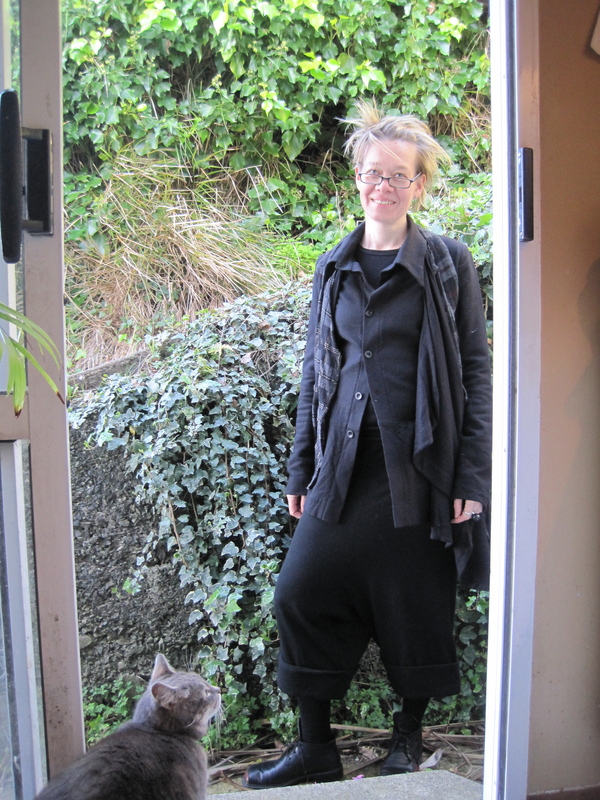 Shirt by NOM*d from Bedlam AW 09, shorts by Zambesi, leggings by Friedrich Gray, boots by Rick Owens from Plume. 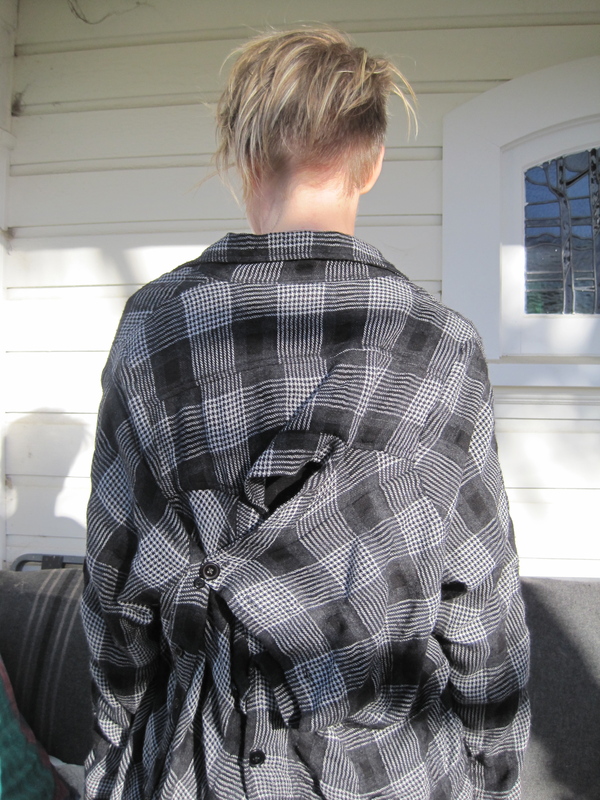 Shirt by NOM*d from Bedlam AW 09. 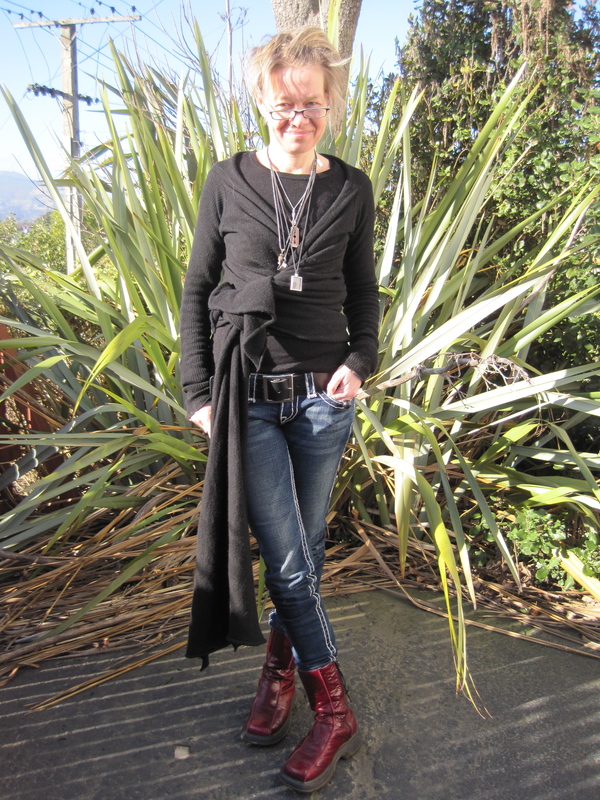 Wrap cardigan by Rick Owens, jeans by True Religion, ‘Dunedin’ belt by NOM*d, boots by Dr Martens. 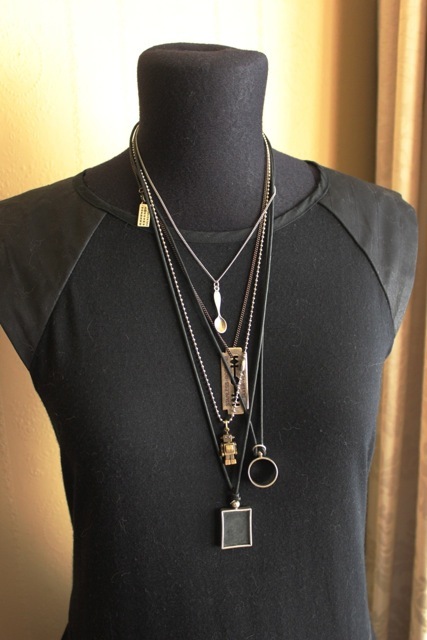 All pendants (except robot) by Maison Martin Margiela. Jersey and pants by Maison Martin Margiela. Skirt by NOM*d from Bedlam AW 09 worn as dress, cardigan by Rick Owens, spoon pendant by Maison Martin Margiela, boots by Dr Martens. 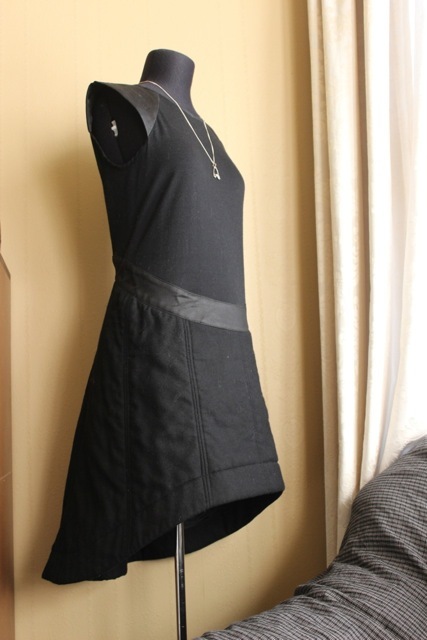 Skirt by NOM*d from Bedlam AW 09. Rack with jacket featuring NOM*d patches. Shirt by NOM*d, scarf by NOM*d from Bedlam AW 09, pants by Junya Watanabe, shoes by Rieker. Dress by NOM*d from Danse Macabre AW 11, necklace by Underground Sundae. 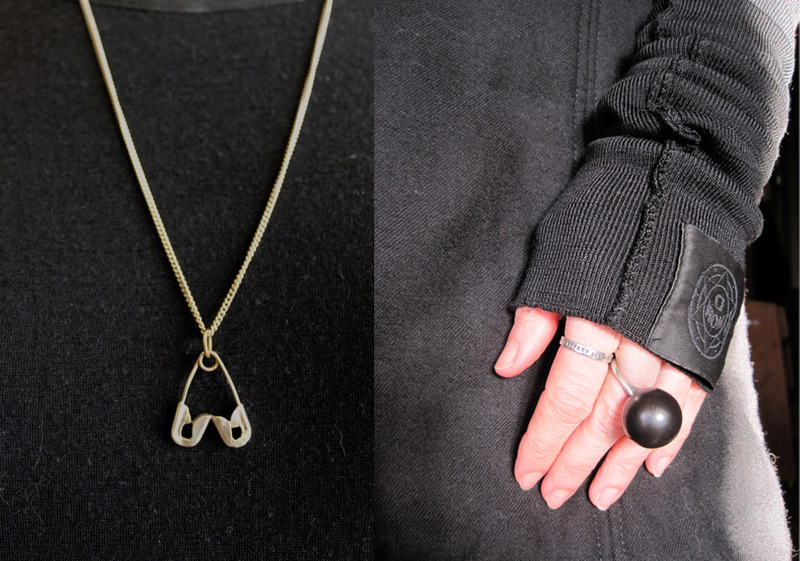 Necklace by Underground Sundae, sleeves by NOM*d, engraved ring by Serge Thoraval, Earth Ring by Warwick Freeman. The Earth Ring is very special to Simone, being a PhD graduation present. Jacket by Rick Owens, jersey by Comme des Garçons, scarf by Company of Strangers, shorts by NOM*d, leggings by Zambesi, gloves by Maison Martin Margiela, shoes by Rieker. The Rick Owens jacket is probably Simone’s all-time favourite piece. Thanks very much, Simone, for entering into the spirit of the occasion and posing so willingly for us. It was so much fun! 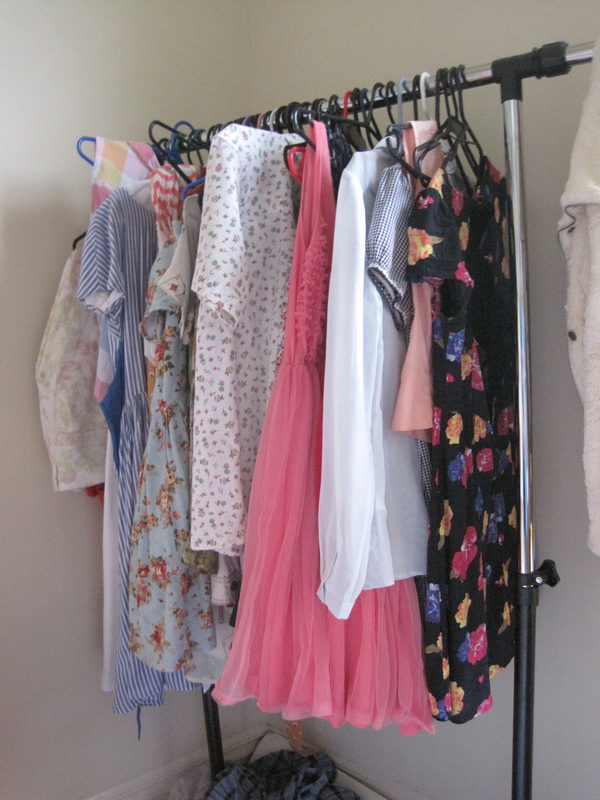 Recently, we got to peek inside the closet of one of Dunedin’s up and coming acting talents, capping show star and style icon Abby Howells. 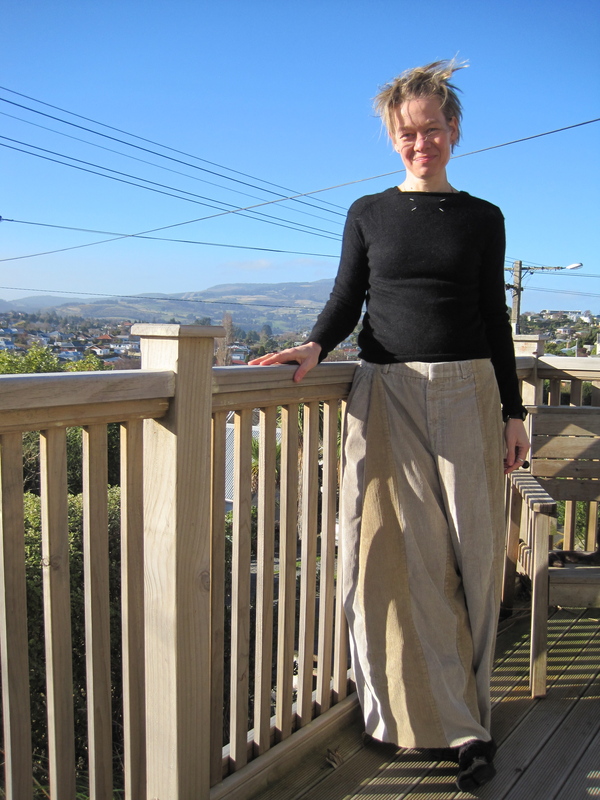 Abby is no stranger to the Otago campus; she directed the most recent capping show (‘The Wizard of Capping Show’) and tutors theatre classes. Not only did she win a place in the Fortune Theatre Studio 4 x 4 Young Playwrights Initiative, but one of her plays ‘The Crash’ has been shortlisted for the Auckland Short + Sweet Theatre Festival. 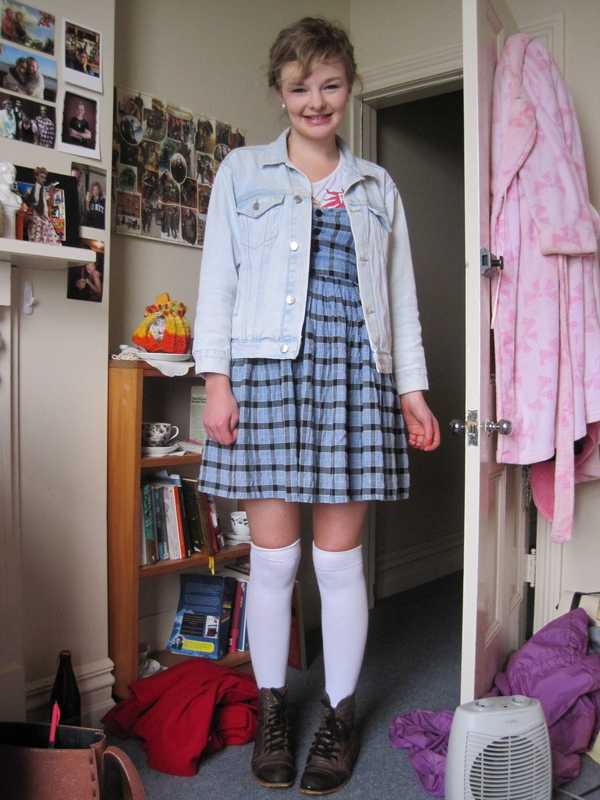 However, Abby isn’t always backstage; her most recent acting highlights include an impromptu performance for the Wellington Fringe Festival and this year’s ‘Orientadium’, in which she performed in front of 2500 students – that takes some guts! 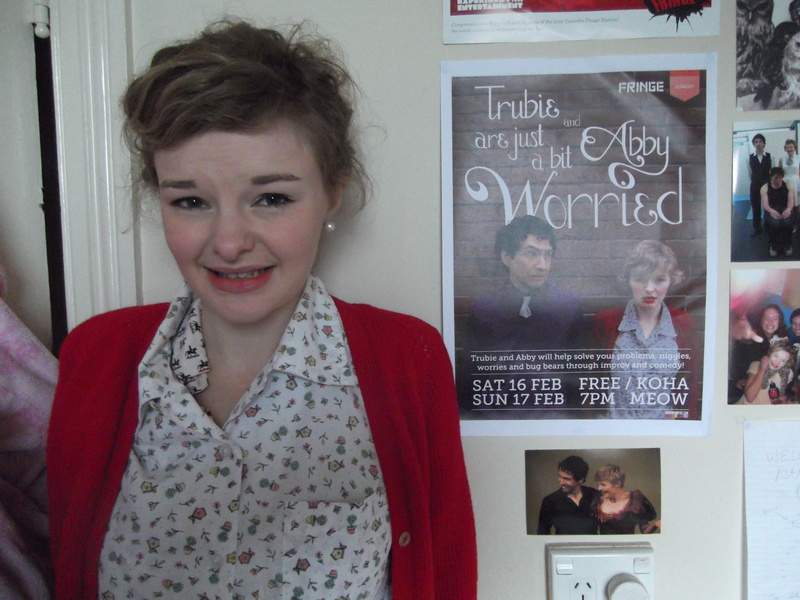 Last but certainly not least, Abby was proud of winning the ‘Best Comedy’ prize at the 2013 Dunedin Fringe Festival for leading her all-female comedy collective ‘Discharge’. When it comes to style, Abby is a great example of how to look amazing without spending a fortune. She showed us some of her quirky but feminine looks and shared some interesting anecdotes behind her style. 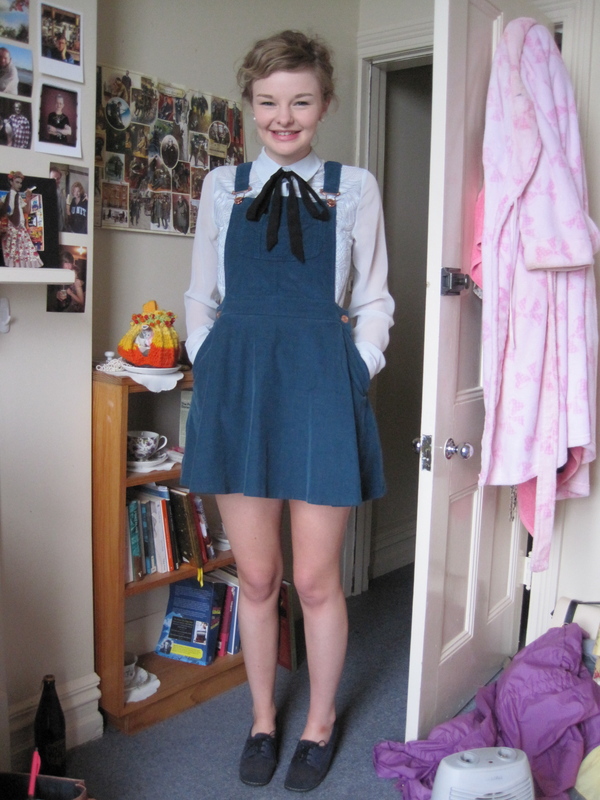 Abby wears a pinafore dress from Belle Bird, jacket bought online and shoes from Wild Pair. 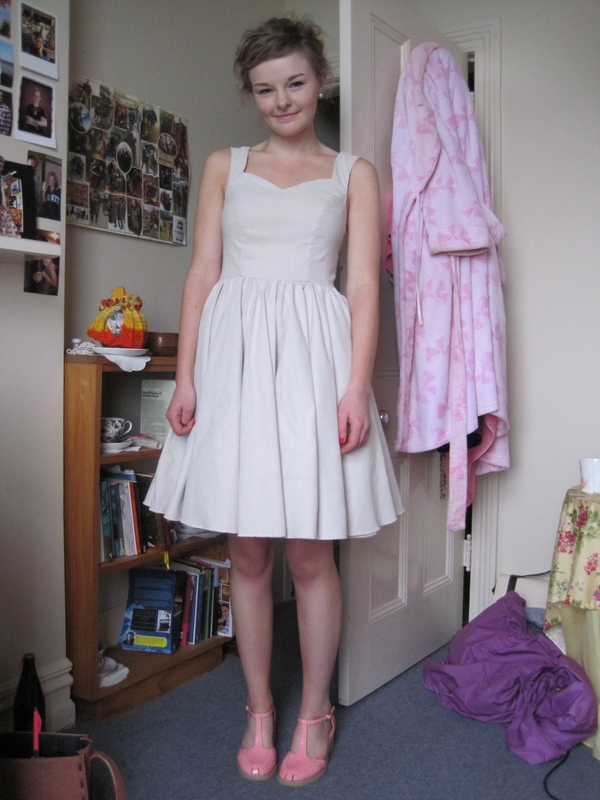 Abby fell in love with this gorgeous satin dress as soon as she saw it, and wore it to the post-capping show party. She had to win a 2am online bidding war to get the shoes while, at the same time, trying to finish her honours dissertation (in film and media). The effort was well worth it and the shoes look perfect with her dress. 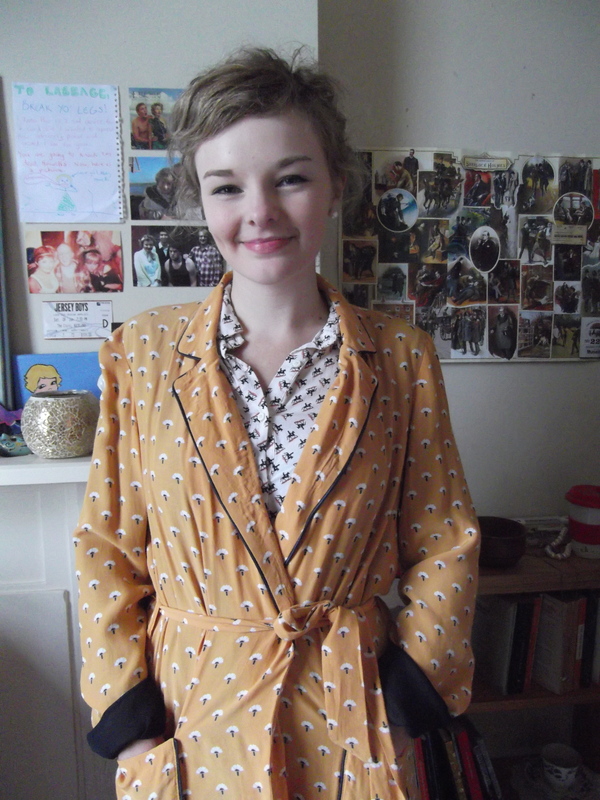 Abby wears dress from The Cuckoo’s Nest, one of her favourite shops. 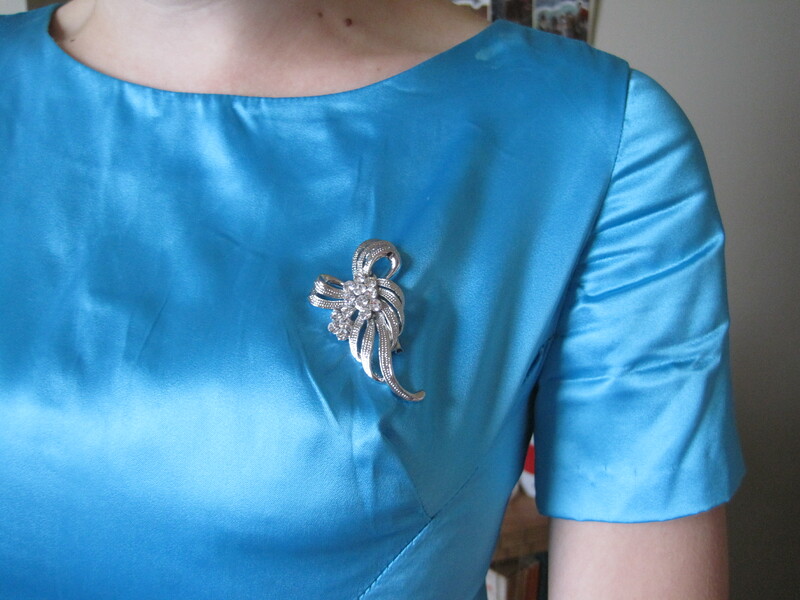 The brooch was given to Abby by her mum. 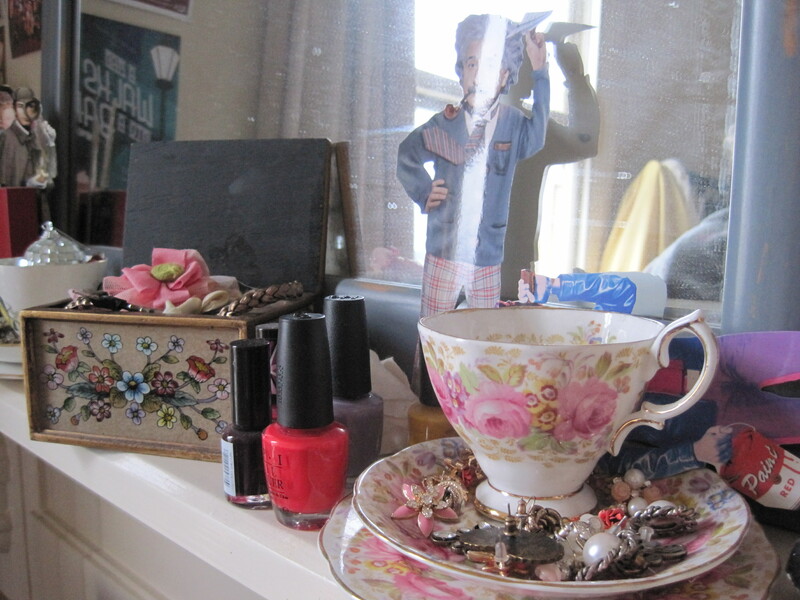 Abby loves all things vintage and wished she had lived during the 1950s when the emphasis was on femininity and elegance particularly the obsession with gloves and hats. 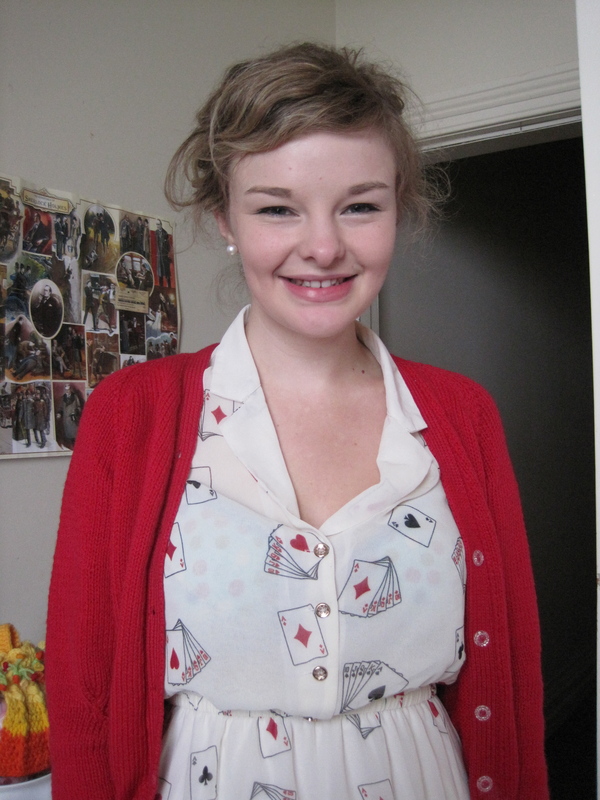 Abby wears a playing cards dress bought online and an op-shop cardigan (only $2.50). 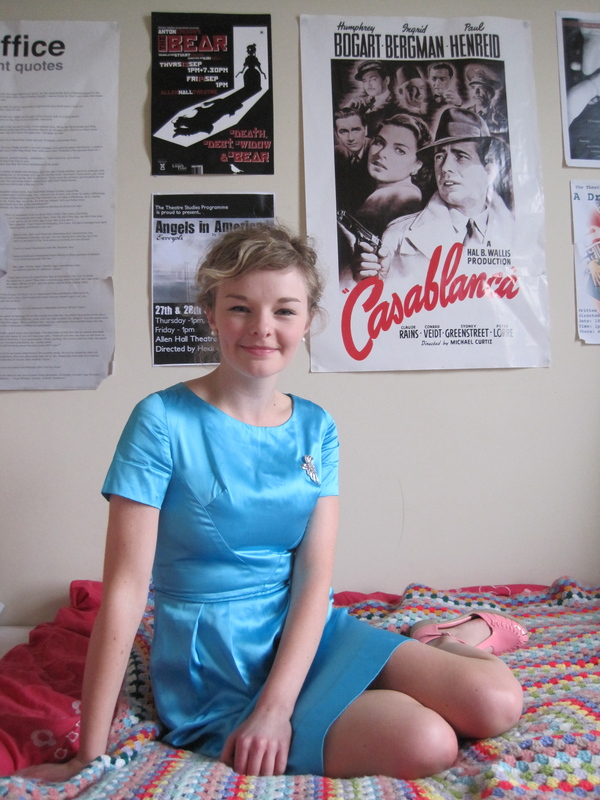 After a couple of busy days performing at the Wellington Fringe Festival, Abby needed some retail therapy, so she visited Swonderful Boutique (on Cuba Street) and came away with this beauty! with a bird print skirt. makes the perfect tutoring outfit for theatre class! Smoking hot: Abby and a friend from her theatre troupe bought matching smoking jackets, hoping to wear them to a ladies night. Recreating her iconic look: Abby and theatre buddy Trubie-Dylan Smith gave a recent performance called ‘Trubie and Abby Are Just a Bit Worried’. Audience members put forward their life problems for the dynamic duo to solve through impromptu acting. Thanks Abby. It was so much fun raiding your closet!